Feel the Caribbean Spirit!! 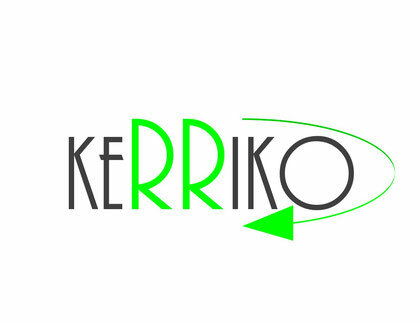 - keRRiko! Distilled and bottled in Bonaire, The Dutch Caribbean island of Bonaire is often referred to as one of the last unspoiled paradises on earth. Bonaire is situated only about 80 km north of Venezuela, well protected right outside of the hurricane belt and has a perfect and steady climate with an average temperature of about 30°C, a nice refreshing breeze almost all year round and some tropical rain showers every now and then to keep the island beautifully green and full of wildlife. Next to the love for the island, its beautiful nature, the great atmosphere, the relaxed lifestyle and its very friendly inhabitants, probably the largest amount of visitors are attracted by the fact that the beautiful turquoise waters around Bonaire are very well known as "Divers Paradise". The boomerang shaped island sits on a huge coral reef offering some of the most gorgeous underwater views on earth, with colorful corals and an amazing variety of underwater wildlife. TekiBon is an unique handcrafted liquor extracted from the 'yatu' cactus (Stenocereus griseus). The inventor, Raja Daou, distilles and bottles Tekibon in his own factory: "Spirit of Bonaire". In his factory Daou has a laboratory and simple systems to ferment the yatu cactus and undergo other processes. Then the resulting handcrafted, micro-batch liquor, Tekibon, gets per hand bottled. The delicious mild flavor is what makes Tekibon so popular both with locals on Bonaire as the tourists who visit the beautiful Caribbean island. Raja Daou believes in `working green`. Therefore all the machines in his factory are powered by solar energy. Tekibon can be drunk either pure, in combination with lemon and salt, or as the basis of countless delicious cocktails. Du möchtest in deinem Laden, Bar oder Lokal unseren Spirit erleben? Kein Problem. Nimm Kontakt auf und wir sprechen unsere individuellen Lieferbedingungen durch!